Open labs are set up for people to sew on any project they wish at their own pace with the help of an instructor. You will need your sewing supplies, we have cutting tables and mats, sergers, and a bookstore with fabrics, patterns, interfacing and sewing supplies. 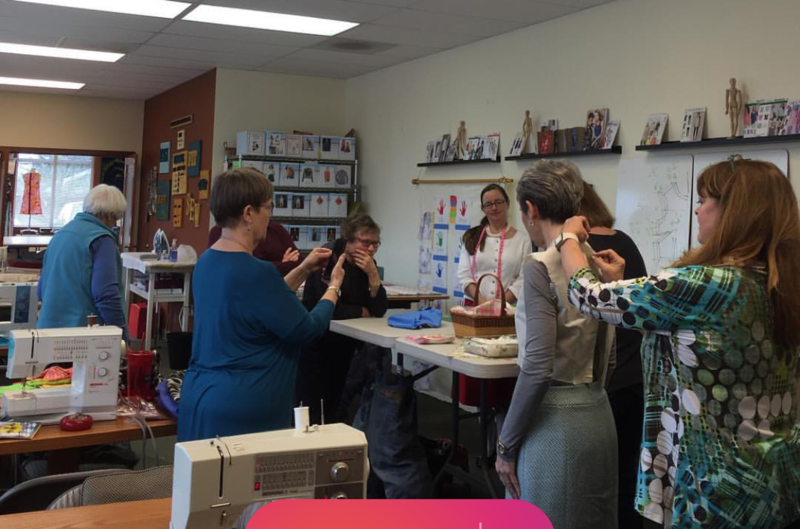 If you are brand new to sewing, Learn to Sew will be your first step and then move in to an Open Lab. Ryliss Bod is the Founder and Director of the Sewing & Design School and has extensive experience teaching Fashion Construction and Design at a Washington State Technical College. She instructed courses for both continuing education and career training in all levels of sewing construction, home décor construction, fashion accessory construction, fashion design, fitting & pattern alterations, pattern-making, textiles, history of fashion and quilting.